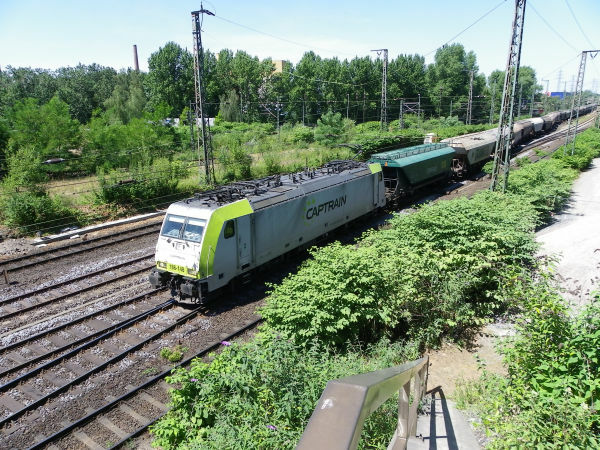 This is a Captrain locomotive of class 186, which is a second generation Bombardier TRAXX capable of running both under the German 15kV AC electric system as well as the DC systems in France. 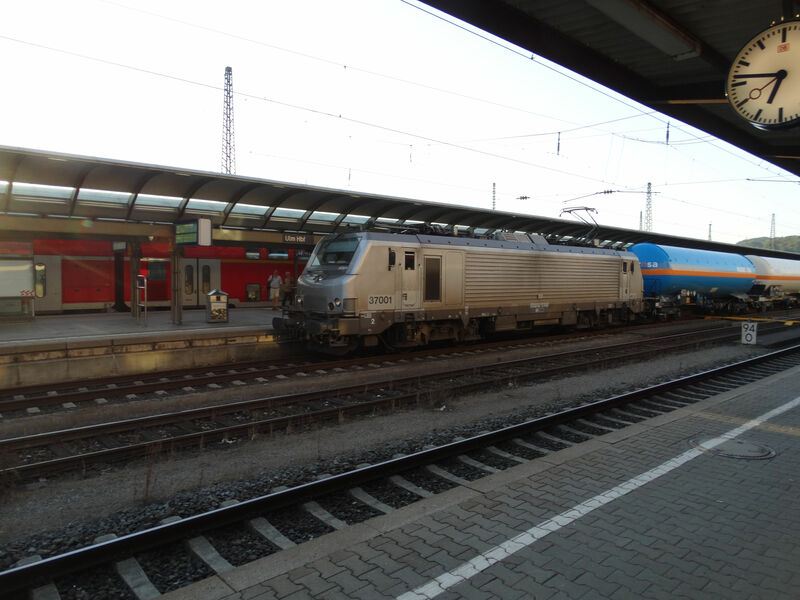 Here the locomotive is hauling a long cereals train at Oberhausen. Picture at Oberhausen 7.7.2010 by Ilkka Siissalo. This is a French locomotive of the French class BB37000, an Alstom Prima multiple electric system machine. The small texts at the side show that it is owned by Akiem, which is a locomotive leasing company. Akiem in turn is owned by the French state SNCF. Here it is in full speed with a train of probably natural gas condensate at the Ulm Hauptbahnhof 13.9.2016. Picture by Ilkka Siissalo.